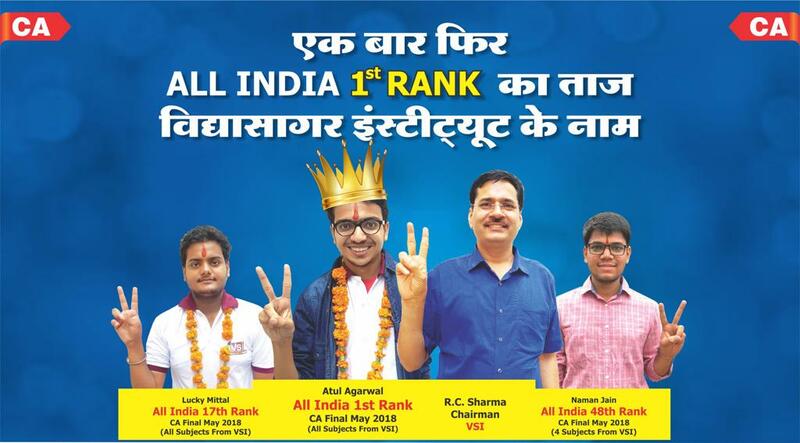 Once again VSI has proved that it is the best CA Coaching institute in India by giving All India 48th rank in CA FInal Nov. 2018, Earlier also VSI created history in Chartered Accountancy result by giving AIR - 1 in CA Final May 2018 Examinations by Atul Agarwal after achieving a hat-trick of AIR - 1 in CA IPCC in past six years. 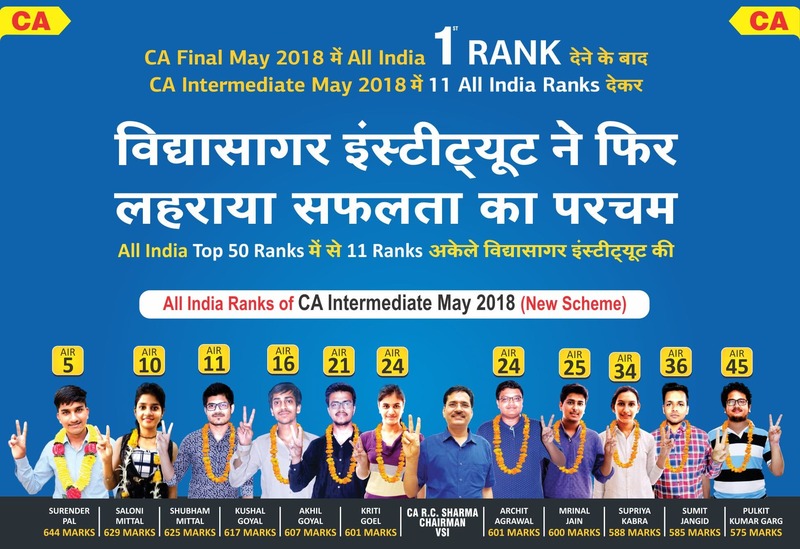 To Develop the understanding of the subject according to ICAI Pattern. To improve answer pattern according to the exam. To indicate the missing and leakage from exam pattern. Students can improve 20 marks per subject by appearing in Mock Test. Separate Batches for Hindi & English Medium Students.